For those of you still unsure of your pending Oktoberfest travel and celebration plans, the Texas Hill Country offers up some of the best in the world! Honoring and focusing on German heritage, Oktoberfest celebrations in this area are something you need to see to believe. New Braunfels is one Hill Country city that really gets in the spirit. The food, beer, live music, and laughter are unbeatable. The German history at New Braunfels, in the Texas Hill Country, dates back to the 1800s. Established by Prince Carl of Solms-Braunfels, Germany, this city was recognized as the first Texas colony for German immigrants. Oktoberfest is a huge celebration which developed from an event that occurred in 1810. It was in that year that the Bavarian Crown Prince Ludwig married Princess Therese von Sachsen-Hildburghausen and invited everyone to celebrate. 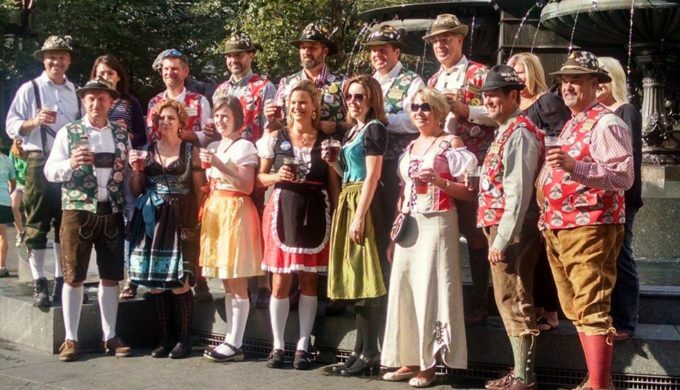 It was such a success and a great time that they turned it into an annual celebration of their Bavarian culture. Residents of New Braunfels continue the tradition in modern-day Texas, with their own food, music, and celebration, including Wurstfest (taking place November 2 – 11 this year). 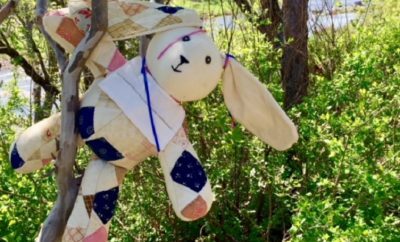 Now, every year in October, German immigrants to Texas celebrate their heritage. 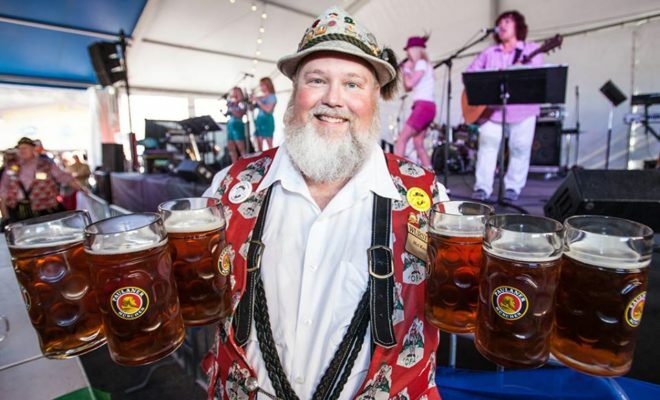 What better place to celebrate than in New Braunfels, which has become known as the Bavarian beer capital of south Texas? In conjunction with that comes the pairing of excellent German food service. 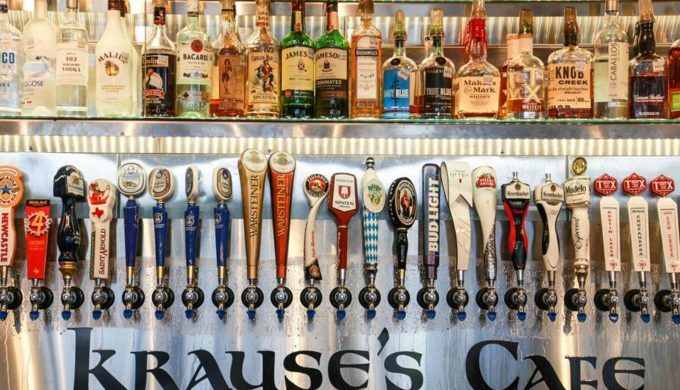 A unique experience (available year-round) can be had at Krause’s Biergarten and Café. 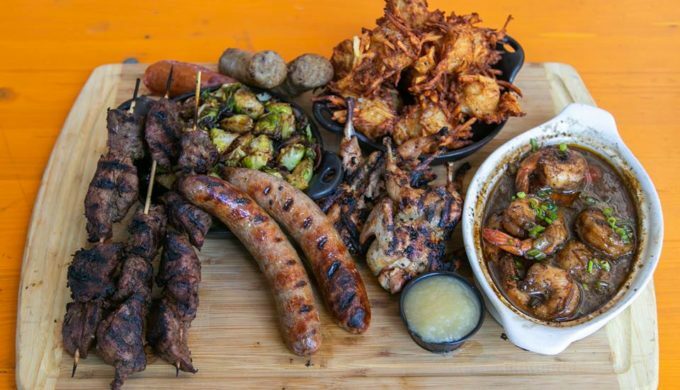 Established in 1938, this eatery combines German culture and cuisine to the utmost, including such featured menu items as the Holzmacher Skillet, Pork Schnitzel and Eggs, Krause’s Kartoffel and Bier cheese, and Schwienhaxe, to name a few.